We are CSKians when IPL Happens..
We are Tamilians when we are within India..
We are Indians when we are outside India..
We are Human Beings when we are in the Planet Earth.. It doesn't matter whether we like Vijay or Thalaiva's movie. But, we should Support Thalaiva & indirectly support our TAMIL CINEMA..
Few Antivijay fans are spreading rumours about the movie stating it is very bad even without seeing it..
We shouldn't laugh at our own brothers, when they are struggling to release this movie.. This is a BUTTERFLY EFFECT too..
Due to this delay, not only Thalaiva, but also 10 -15 movies will be impacted which includes "Thanga Meengal", "Six", "Aadhalal Kadhal Seiveer", "Desingu Raja" and many more.. If movie gets released on 15th, all the movies which were scheduled to be released on 15th & 23rd, will have to be postponed to Mid-September or later even Arrambam releases as of now..
MGR, Briyani, Varutha Varuthapadatha Vaalibar Sangam are releasing on 6th September..
Support Thalaiva - Support Tamil Cinema, Good Movies, Low Budget Producers, Theater Owners & Distributors..
Will 'Vijay 59' bring about the ‘I’ effect ? 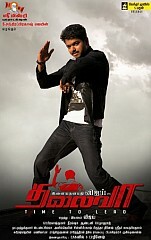 This page has information about Support Thalaiva, Save Tamil Cinema.